A little taste of fantasy is good for everyone, no matter how young or old you might be. 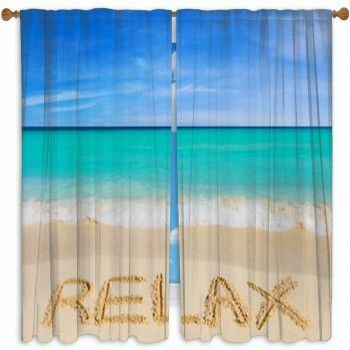 It can be fun to let the imagination run wild, and now it is possible to do so by letting fantasy creatures cover your windows. 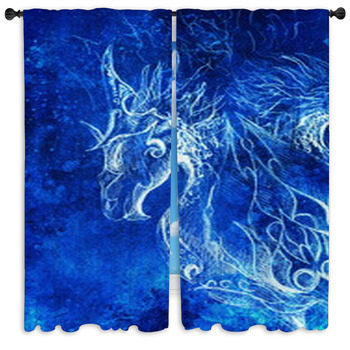 Dragon window curtains feature these beasts in all their different colors and sizes. 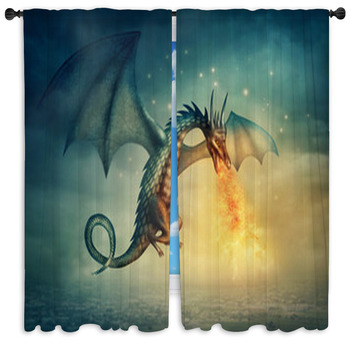 Now they do more than just breathe a little fire, they guard your dungeon by standing in front of the window, decked out in flames! Lovers of fantasy are sometimes also into the dark and Gothic side of the mythical realm. 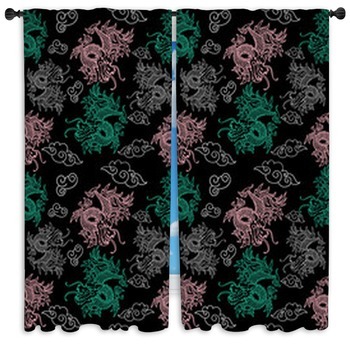 For this type of enthusiast, dragon window curtains are available in darker color palettes of black, violet, navy, and gray. In these scenes, the powerful creature is depicted guarding his castle territory. Be careful not to cross paths with this daunting beast as he protects the room from trespassers! 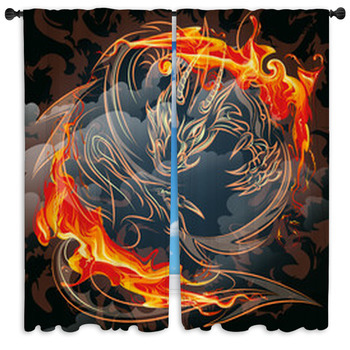 Some people seeking dragon curtains might just be enthusiastic about being born in the Year of the Dragon. 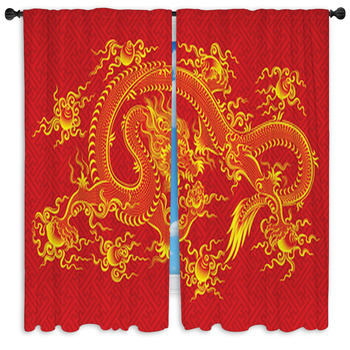 By decking out a room in a way that pays homage to the Chinese culture, you are also making it stylish and contemporary. 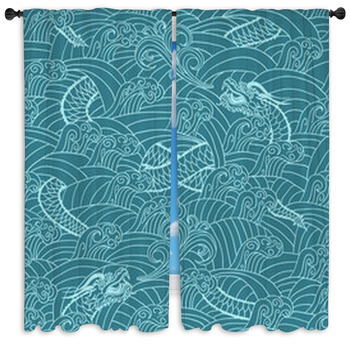 These decorations are perfect for such a purpose; they bring color and life to any Asian-themed room. 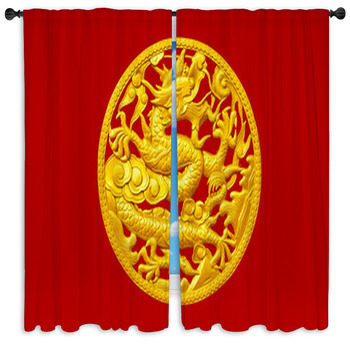 The rich reds and golds in the color schemes of these accents will really bring out the concept of Asian tradition. One of the main reasons there are so many big fans of fantasy is for the artistic side of bringing these designs to life. A dramatic scene with vibrant colors and intense details will always attract visual attention. 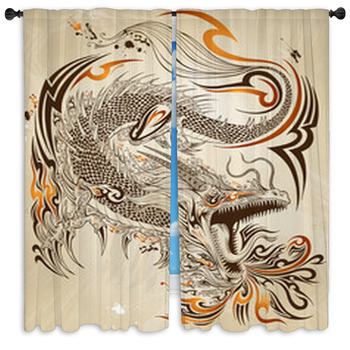 Putting dragon curtains into a room that show off the creatures conquering a fiery sky baring razor-sharp teeth are sure to get any visitor talking about your decor. 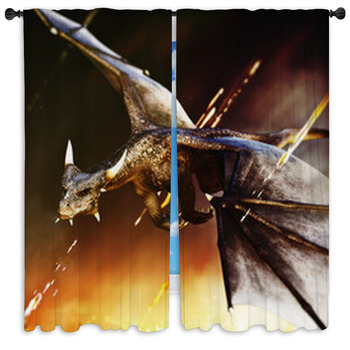 Photo window treatments featuring life-like images of dragons might be a bit too scary for the bedroom of a child. They are a bit too reminiscent of monsters with their flame breath and teeth that can rip you to shreds. 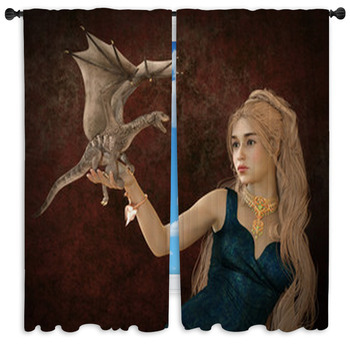 However, there are child-friendly character versions of these creatures, which are more appropriate, and you can get a dragon comforter or duvet to match. In soft shades of purple and green and smiling faces, these friendly guys will fit right into any child's bedroom. 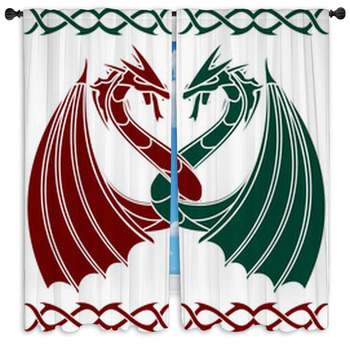 Incorporating dragon window curtains into a room show that the occupant appreciates some aesthetic appeal without taking him or herself too seriously. The creatures can be terrifying looking, as if they are about to crush your skull, or smiling and wanting to hang out in front of your windows. 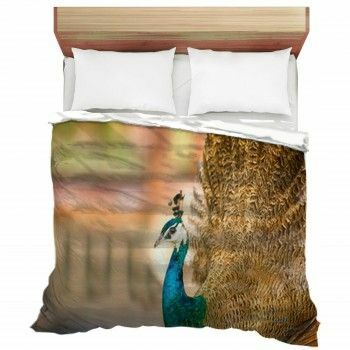 Either way, they are here to protect your territory and add a little excitement to the home.